#TheRaceIsBack! The wait is finally over, the world’s leading competition in the area of IoT is back! We are welcoming techpreneurs from all around the world to submit their disruptive solutions in the following categories: Sports | Healthcare | Lifestyle | Industrial | City | Transport | Agriculture | Home. Speaking slots on the main stages of ISPO, MEDICA, WT | Wearable Technologies Conferences, Mobile World Congress, and many more leading tech events. Each participant has also the opportunity to compete in the special prizes of the 11th IOT/WT Innovation World Cup®: Gore Innovation Center Prize powered by Gore, EBV IoT Hero powered by EBV Elektronik, rapidM2M Challenge powered by Microtronics, Trusted Connectivity Award powered by Gemalto, Logistics Game Changer powered by LOXXESS, and Smart Clothing Challenge powered by AIQ Smart Clothing. 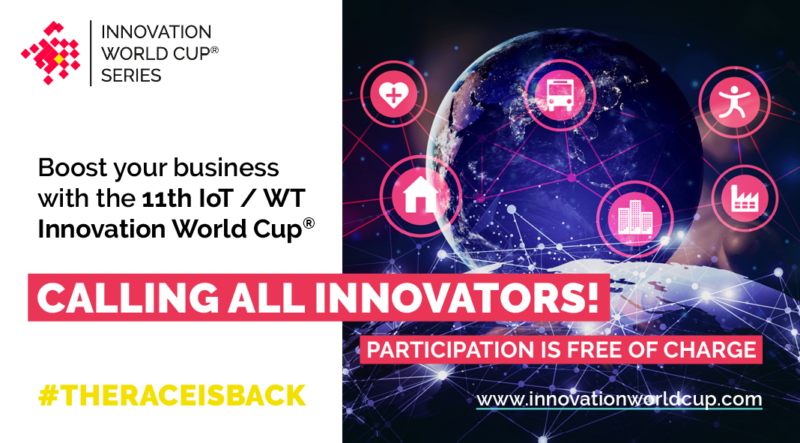 GaitUp, iBreve, Bonbouton, Sigfox, Sensoria and other top techpreneurs made history after debuting at the Innovation World Cup®. Your company could be next.